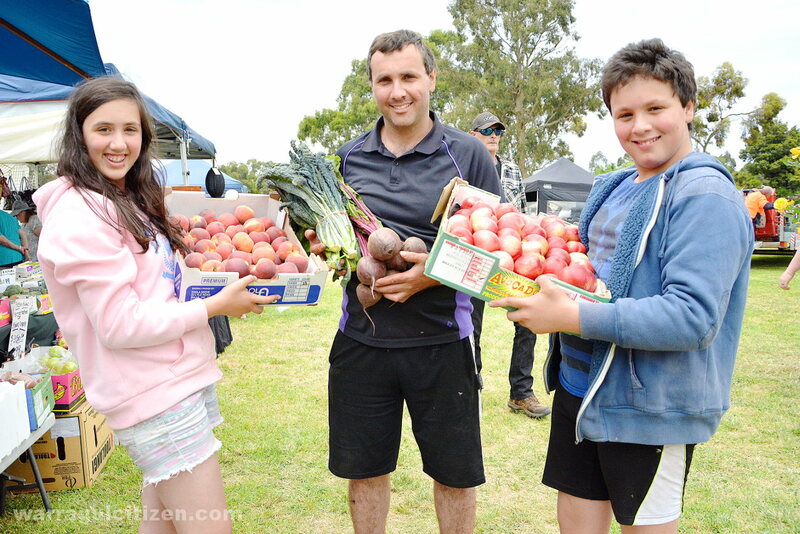 WBBC asked fruit and veg growers at the Yarragon and Longwarry markets what they like to cook with their fresh produce in summer. 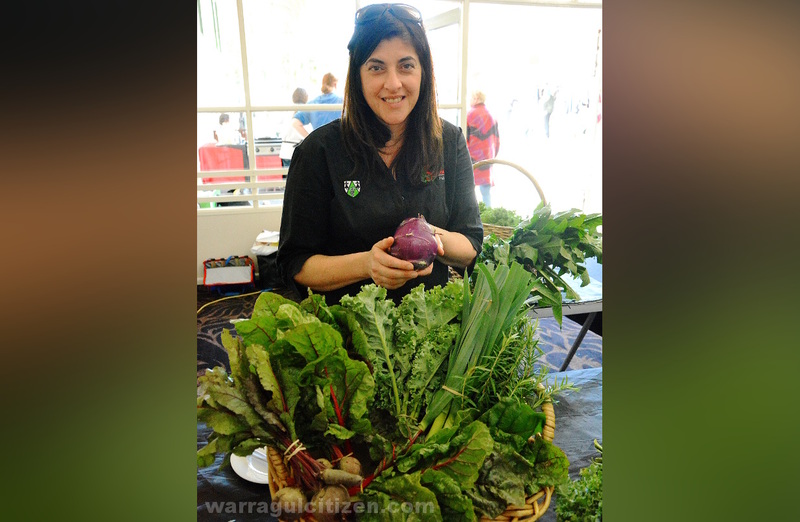 Above: Maria Antonie is a big fan of red vegetables and the largely unknown vegetable kohlrabi. Photos: William PJ Kulich. 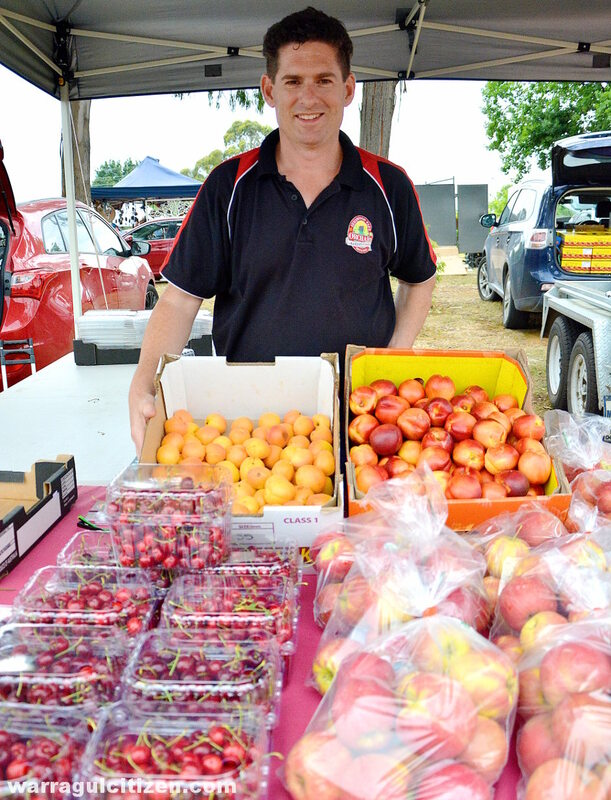 First published in the 11 December 2015 edition of the Warragul & Baw Baw Citizen newspaper. Click here to read the full paper online. WBBC: What is one of your favourite summer vegetables? Maria: For me it would be kohlrabi. It comes from the cabbage family, kohl in German means cabbage, so it’s very crispy, and has sort of a parsnipey taste. Not many people know how to use it. What I’ve made is a potato bake but with kohlrabi. I just sliced it, added a little bit of cream, a little bit of bacon and cheese and just put it in the oven. It was really really delicious. WBBC: It looks pretty solid and not much like a cabbage on the inside. Maria: Yes. The flesh is white. It performs like a potato and because it’s low GI as well it’s very good for people with diabetes and people who don’t want to have too much carbohydrates. It’s a gorgeous vegetable. When it starts growing it has a nice little red head and a lot of leaf which you can eat as well. WBBC: What else do you like to cook with in summer? Maria: I like playing with beetroot. I like vegetables which are red in colour, to be honest. So beetroots are gorgeous roasted or put in a salad grated raw and things like that..
WBBC: They’re a great vegetable in many summer recipes, hey. Maria: Oh, they’re gorgeous. And ruby chard is another favourite of mine, being red again. WBBC: What is one of your favourite summer meals? Maria: I love playing with eggplants, zucchinis, squash, things like that. Chargrilling them then drizzling some oil over them with some garlic, and chillies. I love chillies. Jalapeño chillies are awesome; just split in half and de-seeded and then adding some cheese and bacon and grilling them, really delicious. With some nice beer they go down well. There are several varieties of kohlrabi, including White Vienna, Purple Danube, Gigante and Grand Duke. The purple variants have white flesh. The vegetable can be cooked or eaten raw and tastes like a sweet cabbage heart. Both the body and leaves can be eaten. The vegetable is a human creation, bred from the wild cabbage. Chard is known by many names, including silverbeet and perpetual spinach. Young chard can be used in salads, while more mature leaves are often cooked. The vegetable is very nutritious.